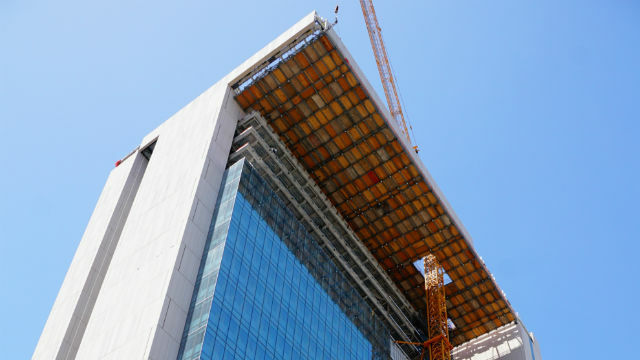 Construction workers topped out the new San Diego Central Courthouse on Wednesday, placing the final beam on the 25-story, $555 million building. When occupied in early 2017, the new courthouse will house 71 courtrooms and 105 holding cells and handle criminal, civil, probate, family and small claims cases. “It is very rewarding to be a part of such an architecturally significant public project in the downtown urban core of the City of San Diego,” said Martin Sizemore, president and CEO of contractor Rudolph and Sletten. Some 650 construction workers are employed on the project, which will be connected to the Hall of Justice via a pedestrian bridge over the trolley tracks.